Chemistry—An Asian Journal is an international high-impact journal for chemistry in its broadest sense (2016 journal impact factor: 4.083). The journal covers all aspects of chemistry from biochemistry through organic and inorganic chemistry to physical chemistry, including interdisciplinary topics. Chemistry—An Asian Journal publishes Full Papers, Communications, and Focus Reviews. A professional editorial team headed by Dr. Theresa Kueckmann and an Editorial Board (headed by Nobel Laureate Professor Ryoji Noyori) ensure the highest quality of the peer-review process, the contents and the production of the journal. 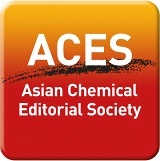 Chemistry—An Asian Journal is published on behalf of the Asian Chemical Editorial Society (ACES), an association of numerous Asian chemical societies, and supported by the Gesellschaft Deutscher Chemiker (GDCh, German Chemical Society), ChemPubSoc Europe, and the Federation of Asian Chemical Societies (FACS).